No trip to Sydney would be complete without visiting its northern beaches, and Manly is arguably the best of these. The story goes that Manly got its unusual name because Captain Auther Phillip was so impressed by the strength of character and manly behavior of the native aboriginal people, he felt compelled to name the place “Manly Cove”. Nowadays, the long sandy beach at Manly is a popular place for surfing and swimming and makes a perfect destination for both family vacations, as well as solo explorers. Make the most of your visit to Manly and explore the history of this beachside suburb by visiting the local museum, then wander through the pedestrianized shopping streets and discover the many amazing restaurants that specialize in local seafood. When you are done, don’t forget to take a walk along the famous beach which has sand so fine that it squeaks underfoot! For more suggestions of what to do in this lovely town, read on to discover seven of the best things to do in Manly, Australia! The Manly ferry runs from Manly Wharf to Circular Quay and takes about 30 minutes. The locals call it “the most beautiful commute in the world” and it would be hard to argue with them, as the short trip takes in the impressively huge Sydney headlands, the world-famous Opera House, the Sydney Harbour Bridge, Bennelong Point and Taronga Zoo. The ferry service has been running since the 1850’s and is still going strong, with both traditional ferries and “Fast Ferries” being used. The traditional ferry is the longer ride of the two, but if you are not rushed for time, it is the far nicer option, allowing you the opportunity to sit outside and take in the extraordinary scenery - it also has the added bonus of being cheaper! You do not need to book in advance and during the summer months, additional services run, so you will have plenty of times to choose from. Historically, Manly has always been a place of leisure for the people of Sydney, with the impressive Pier Hotel for fine dining and the Corso for shopping, but in more recent times, even the wharf itself has been transformed into a destination in its own right, with cafes, bars, bistros, and restaurants all vying for your attention. Ranging from fine waterfront dining, specializing in local seafood to fast and simple “grab and go” style food, whatever you are in the mood for and whatever your budget, this is a taste destination not to be missed! According to the Manly Sea Life Sanctuary, there are more different types of fish species in the Sydney Harbor than in the whole of the Mediterranean Sea! That’s a lot of sea creatures! The sea life sanctuary plays an important role in the preservation of many of these species, and you can learn all about them on your visit. Take a free guided tour of the facility or wander around at your leisure, the choice is yours. With interactive rock pools, an impressive shark display, seahorses, and the littlest penguins you will ever see, not to mention a fantastic play zone, the sanctuary welcomes children and is a great fun and educational day out for the family. If you are not visiting with young children and have always wanted to dive with sharks, you can do it here - without a cage! There are some restrictions that apply to this activity, so if you are keen to try it, be sure to read the rules in advance to avoid being disappointed. From the 1830’s until 1984, the North Head Quarantine Station was an operational quarantine facility. Now, perfectly preserved and restored, it is a beautiful hotel, complete with restaurants, cafe, and a visitor’s center. You do not have to be a guest at the hotel to enjoy everything this unique place has to offer and visitors are encouraged to learn about the history of the building with the free quarantine exhibition in the visitor’s center. You can also take part in a “Quarantine Wanderer” guided history tour, which departs every day at 11 am. If you are feeling a bit more adventurous, there is a lantern-lit ghost tour. If you would like to stay here, there are a variety of different accommodations available, all of which were originally either quarantine rooms or staff cottages. It is worth pointing out that there is a lot of walking involved in getting around this place, but it is not strenuous. Set on a slight headland, with the harbor on one side and the native bushland on the other, a visit to Q Station, as it is now called, is a uniquely Australian experience. Manly has over 20 km (12.5 miles) of specially built cycle paths, making a bike one of the best ways to take in this delightful beach town. Hire a bike and explore the area at your leisure or, if you prefer, take a guided tour. Manly Bike Tours offer a range of tours with varying degrees of difficulty, but you can’t go wrong with the two hour long guided cycling tour of all the best parts of the Manly Peninsula. Your guide will tell you all about the history of the area, point out attractions and give you access to landmarks that you would otherwise not be allowed to visit. Included in the tour price are your bike rental and helmet, as well as refreshments. Established in 1930, the Manly Art Gallery and Museum is a celebration of beach culture and the history of the Northern Beaches, with over six thousand artifacts on display including artworks, ceramics, and photographs. The gallery section has regularly changing exhibits as well as the permanent collection and every September hosts the Manly Arts Festival, a showcase of local artists and musicians, which is well worth your time if you are visiting at this time of the year. Entrance is free, and all ages are welcome. Named after the Via Del Corso in Rome, the Manly Corso is a pedestrianized street that connects the Manly Wharf with the Pacific Ocean. Built as a boardwalk in 1855, by the 1920’s, it grew to become the most popular shopping district in Manly. Today it is still one of Manly’s best shopping destinations and with boutique stores, designer shops, pubs, galleries, and restaurants, it is an easy spot to spend a few hours in! If shopping is not your thing, the Corso is also home to street performers, buskers, and dancing fountains that are designed as play areas for children. There is something about Sydney’s Northern Beaches that exudes the laidback, easy-going lifestyle that Australia is so famous for. 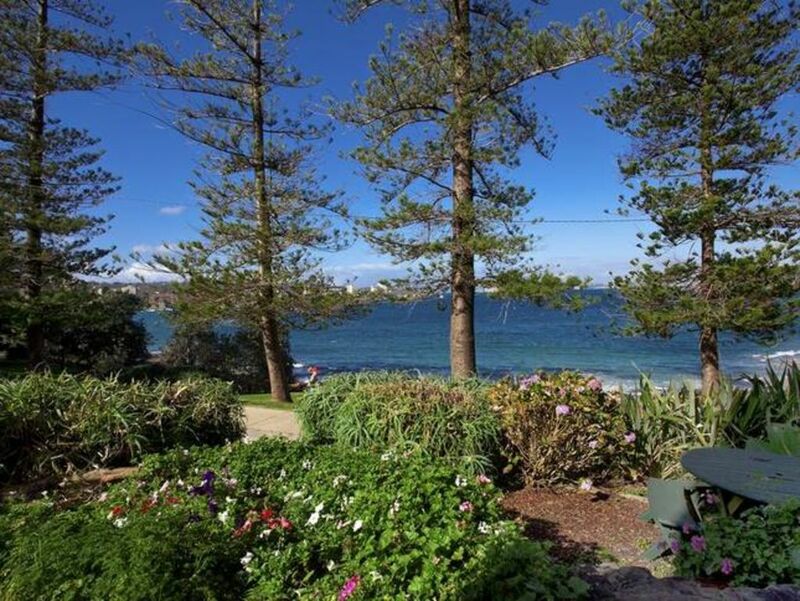 No matter what your mood or interest, a visit to Manly will have you relaxed and rejuvenated in no time.